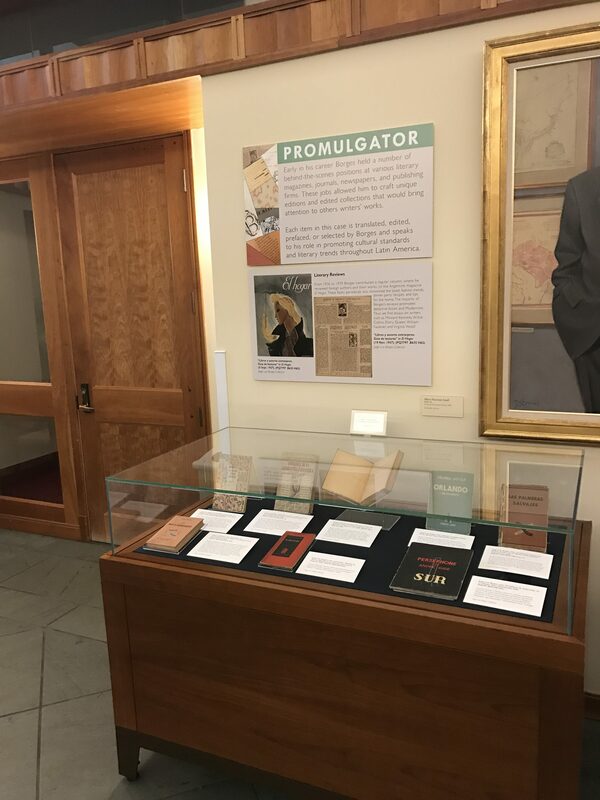 We are pleased to announce the opening of a new exhibition in the First Floor Gallery, curated by Nora Benedict, a student assistant in Special Collections. 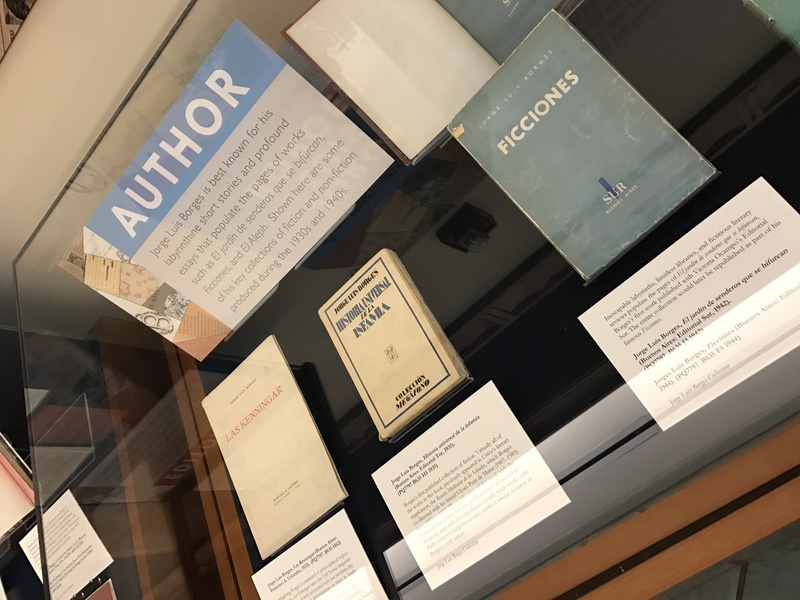 Nora is a PhD Candidate in Spanish-American Literature and Analytical Bibilography, and has recently defended her dissertation on Jorge Luis Borges. 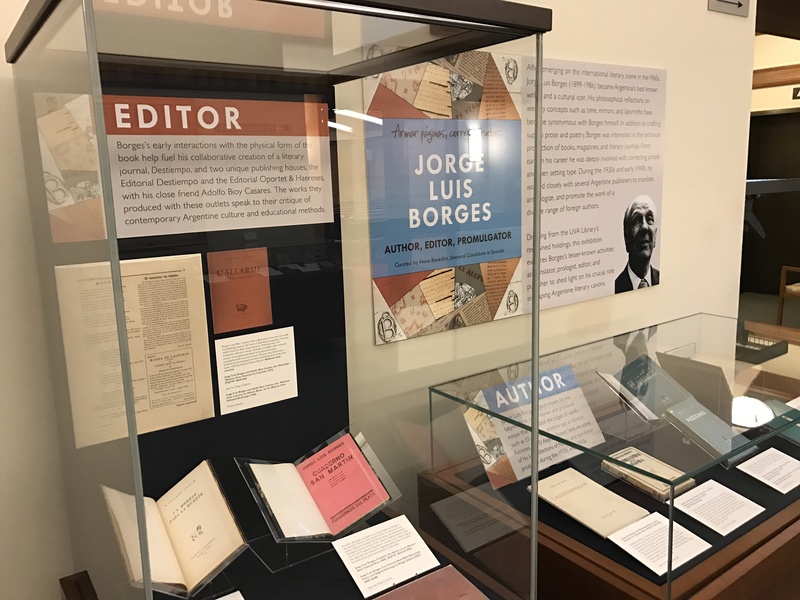 Nora’s work concerns Borges’s publishing history, and we were thrilled to have her curate an exhibition on many of the items she studied while researching in our deep Borges holdings. Here are just a few images of the exhibition to tempt you. Also, keep an eye out for an upcoming in-depth post by the curator herself. The exhibition runs through July 7, 2017. 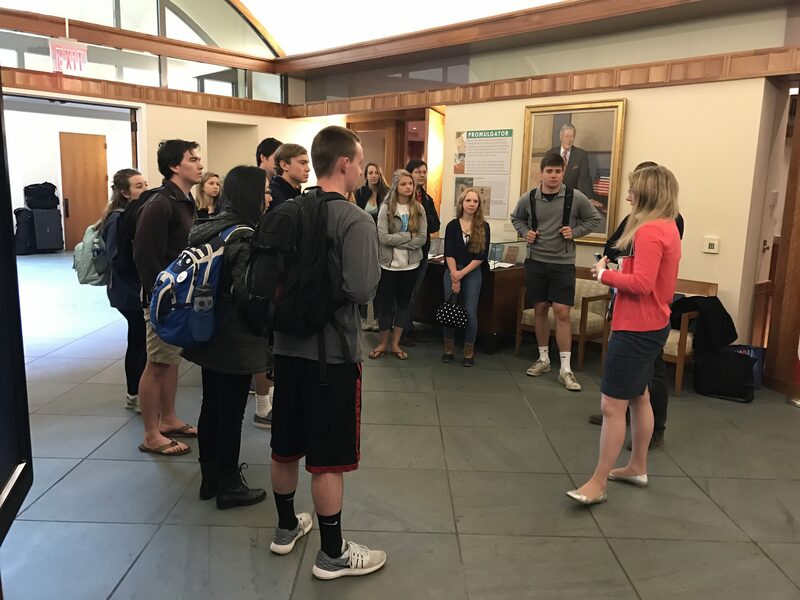 Come on by and take a look! 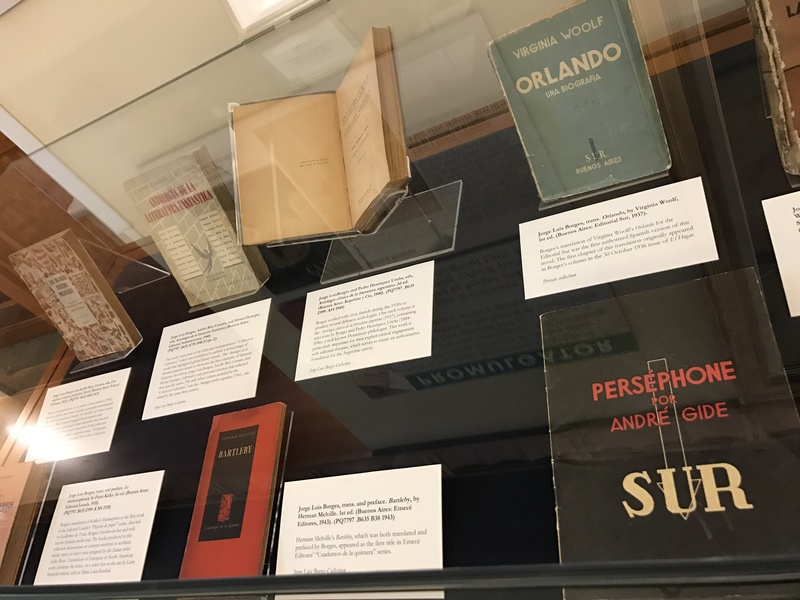 This entry was posted in Exhibitions and tagged Jorge Luis Borges, literature, Nora Benedict, rare books by Molly Schwartzburg. Bookmark the permalink.